A descendant of the Whist family of card games (a group that includes Bridge and Hearts), Spades is a competitive and entertaining trick-taking game that makes for great social play. What makes it different from other Whist game variants is that Spades are always trump (the suit of the highest value). Spades is generally played in small groups of four players, however with several variations of the game it can be played by as little as two players. Bidding : refers to a player looking at his/her cards and estimating how many tricks s/he can win once all player cards have been discarded. A bid is made by each player at the start of each hand of Spades. We explain how to determine your bid and what to look for when bidding in more detail below. 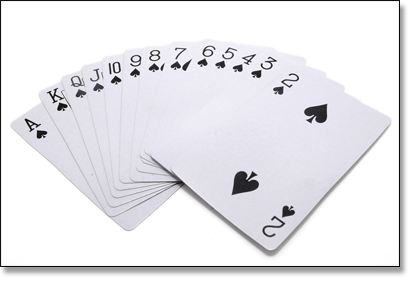 Tricks : refers to the series of cards played by each player (as the game is usually played with four players, a total of four cards – one from each – would form a trick). The winner of each “trick” is the “taker” of that trick. Tricks are won by whomever placed the highest card of that series. Many card games play using this method and are known as “trick-taking” games. We explain how to win a trick in more detail below. Trumps : a trumps card is the card which has greater power over any other suit, which in the case of Spades (yep, you guessed it) is the Spade card. Spades is played with a standard deck of 52 playing cards, typically excluding the Jokers. The Ace is the highest ranked card, with values/rankings dropping as the cards descend in order down to the Deuce (two card). Players are often divided into two pairs (two teams), otherwise four single player can face off against each other. The aim of Spades is to guess as accurately as possible the number of tricks you think you can win during play, and thus reach the set total of points over several rounds. Cards are shuffled thoroughly and the dealer is chosen at random, with all cards dealt face-down, one at a time, to the dealer’s left, until all cards have been distributed. Each player starts the game with 13 cards. Bidding is the most important part of this game. Once the cards have been dealt, players consult their cards to determine the number of tricks they are expecting to take throughout the game. They then declare these out loud as “bids”. If playing in teams, you and your partner add your bids together. How Do You Bid in Spades? If you were dealt all 13 Spades, it would be wise to bid 13, as it would be impossible not to win every trick. As bidding is vital in Spades, it is important to understand how to go about doing so. Once you have assessed your cards, you will be able to determine whether you have a strong or weak hand – a strong hand would include multiple high-ranking cards (and any trump/Spade cards), while a weak hand would be made up of few, if any, high-ranking or trump cards. By organising your cards from lowest to highest rank, you’ll be able to easily examine your hand. If you succeed in meeting your targeted bid, you win points. If you don’t succeed, by either not reaching your bid or even exceeding your bid, you are penalised. Going over your bid is better than going under your bid, as if you go under your bid you are penalised with negative points. However, go over your bid too many times and you will also find yourself in trouble. Bidding starts with the player to the left of the dealer and continues clockwise. Change dealers after the conclusion of every round/new deal. Bids are usually written down for quick reference. 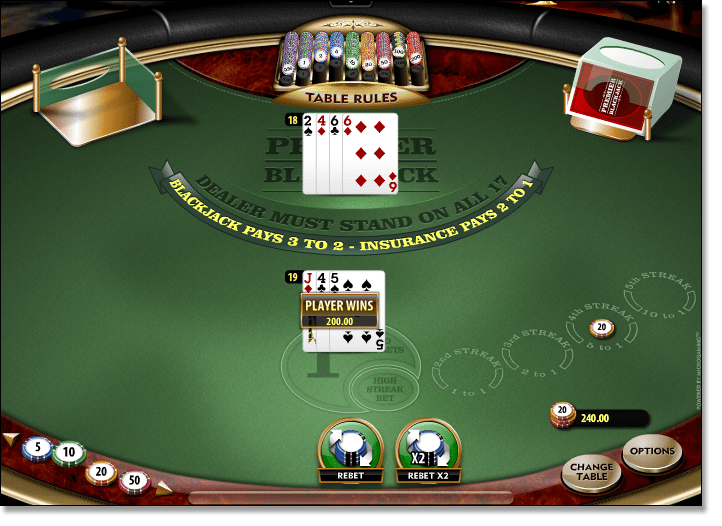 The game is led by the player to the left of the dealer playing any card, except a Spade. Playing clockwise, each player must follow the lead card’s suit (first card played) when able. If a player is unable to follow suit, any other card may be played. Once all the players have played a single card, the winner of the trick is determined. The highest card of the leading suit will win the trick, unless a Spade is played; then the highest Spade wins the trick – for example, if Player one begins/leads with a Nine of Diamonds, then a Seven of Diamonds is played, followed by a King of Diamonds and a Three of Diamonds, the player who played the King wins the trick. If Player A leads with a Six of Clubs, Player B has no Clubs so plays a Four of Hearts, Player C has no Clubs so plays a 10 of Spades, and Player D plays a Jack of Clubs, Player C wins the trick as his/her Spades card acts as the trump. A player has already played a Spade on the lead of another suit. The leader only has Spades left in his/her hand. When you win a trick, you take that pile of four cards. 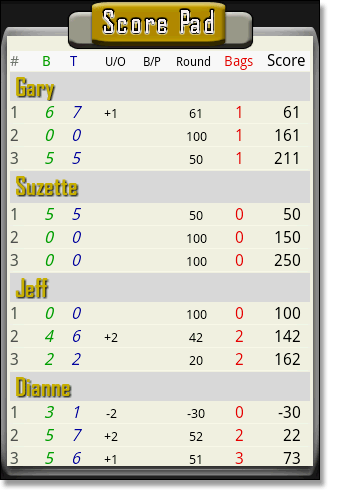 The winner of each trick then starts the next series, and so on until all 52 cards have been played – then scores are tallied together if playing on teams, or separately if playing individually (see scoring section below). Strategy suggests to never bid on a Queen or lower card of any suit other than Spades. When bidding, consider your high cards and how many Spades you have. In a four player game, there will be 13 tricks all up, so keep that in mind when bidding – for example, if you are last to bid and 11 tricks have already been bid, but think you can certainly make more than two tricks, you know someone has over-bid. Take note of whether you have a large amount of cards of the same suit, or if you have no or very few cards of a particular suit. With many cards from one suit, this allows for more flexibility with your bidding – for example, with several Hearts, you could refrain from taking a trick led by Hearts by playing your lower Hearts. With few or no cards from a suit other than Spades, you may want to bid on your low numbered Spades, as it is likely you might not be able to match the suit played (of which you have few, if any, cards), but can trump with a low Spade instead. In classic Spades, bids can be made from one to 13. Players are not allowed to pass. In some variations, players are allowed to bid ‘nil’ (a ‘nil bid’ is a declaration you will win no tricks) or take a ‘blind nil bid’. A ‘nil bid’ can often be rewarded (if met correctly) with a bonus of 100 points and a penalty of -100 if the bid is not met (take at least one trick). A ‘blind nil bid’ is where a player may declare a nil bid before even looking at his/her hand. A ‘blind nil bid’ is typically only allowed if a player or team is behind by at least 100 points – it gives that player or team the chance to earn 200 points, making it an attractive (yet risky) bid to play. At the end of each game, the number of tricks earned by a player/team is compared to his/her/their starting bid. If a teams or players successfully meet their target (contract), they multiply the number of tricks made by 10, to establish their total number of points. For example, if you bid five tricks at the start of a game and achieved this target, you are awarded 50 points. If you achieve less tricks than you bid, then you lose 10 points for each trick bid. For example, if you bid five and achieve anything below that contract, you receive -50 points (your are ‘set’ 10 points for every trick you bid). Any trick you take which forces you above your starting bid is called a “sandbag” and this counts for one additional point. So if you bid six and end up winning nine tricks, your score would be 63 (6 x 10 + 3 sandbag points). Accumulate 10 sandbag points and you are penalised by 100 points. For example, if you bid four tricks and win seven, you score 40 points + 3 sandbag points, for a total of 43 points. If you already had accumulated a total of, let’s say, 216 points, you now have a total of 259 points, and one more sandbag point will give you a 100-point penalty. You still add your total trick points to your total score – for example, if on your next deal you bid three and collect four tricks, you would add 31 points to your total; 290, but subtract 100 for reach 10 sandbag points; forcing you down to 190. A successful “nil bid” earns 100 bonus points, while failing to make nil holds a penalty of -100 points. A successful “blind nil bid” results in 200 points, while failing to make nil is a penalty of -200 points. Spades is typically played to 500 points, with the first team/player reaching this goal declared as the winner. Where two or more players/both teams reach 500 points, the player/team with the higher score is declared the winner. The game can also be declared as won if an opposing team drops to more than -200 points. 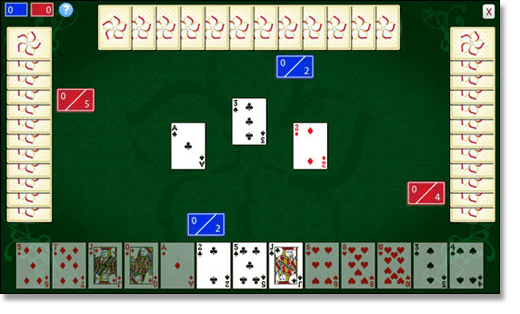 Spades can be found online on a plethora of gaming websites and players can play for free or real money against the computer or real opponents. Spades is most commonly paid for fun so it can be more difficult to find trusted sites that offer Spades for real money play. It’s presence on such established websites as Yahoo Games proves its popularity amongst gamers worldwide. If you like Spades, you are also bound to love the range of random number generated table card games like blackjack, poker and baccarat that can be played for free or real money online at Royal Vegas Casino. Sign up for an account and receive up to $1200 in bonus cash. Withdraw your winnings safely and quickly. All casino games are scrutinised by independent testing and player protection agency, eCOGRA – the eCommerce Online Gaming Regulation and Assurance body. The game of Spades has a fascinating history. It originated in the United States city of Cincinnati, Ohio in the 1930’s, making it a much younger game in the world of playing cards. The story goes that the game was created by a bunch of university students who were looking for a fast-paced game that was both strategic and competitive, and word of the game quickly spread to other nearby universities. With the eruption of World War II seeing so many of America’s younger generation joining the military, Spades really soared in popularity. Given the portability and timing of this game, it became hugely popular for small groups to play during their military service. When the war ended, Spades continued to be played throughout universities and break rooms all over America, however it still remained an “underground” game and didn’t make an appearance in any of the card game books of the times. Although gaining popularity since the rise of online gaming in the 90’s it wasn’t until as recently as 2006 that the game made a huge comeback with its inclusion on Joe Andrews 2006 Grand Prix World Series of Classic Card Games, making it a fast internet favourite. Spades is now included on a majority of online card game websites and is often played in card clubs and tournaments all over the world. Spades continues to increase in popularity due to the fact that games are brief (approximately 20 minutes of play) and because of its four player capacity making it perfect for small groups and online play.